Robert Coby has gained glassblowing experience working with glass artists in the region, but developed most of his glassworking knowledge through time spent at the Cleveland Institute of Art, where he received his BFA in 2011. He has also worked with the Cleveland Museum of Art co-curating the exhibition Studio Glass in Focus: Dialogue and Innovation. 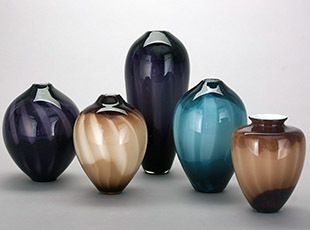 Robert is currently a member of Benchmark Studio, working to expand his own body of blown glass work.